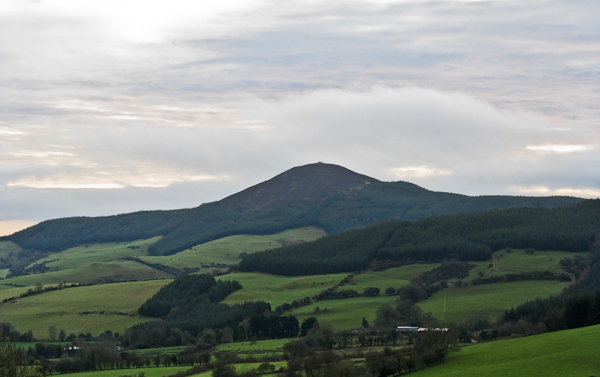 This hill is known locally as Lanigan's Tower. Many years ago a large stone tower stood on the summit. This tower was erected by the local landlord. Only the base of it remains today. There is plenty of parking at R984 735 A. You can follow the forest roads towards the summit. O.S. sheet 59 has the details.